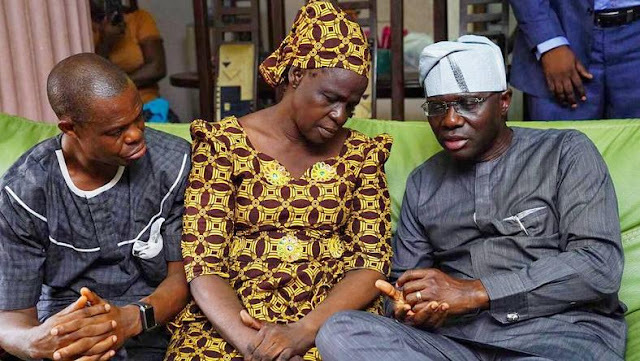 Lagos State Governor-elect Mr. Babajide Sanwo-Olu on Saturday paid a condolence visit to the family of the Kolade Johnson over the unfortunate death of their son with a promise to the family that they will get justice. Sanwo-Olu who condemned extra judicial killings of any type in Lagos and Nigeria as a whole on Saturday afternoon when he visited the parents of the late Johnson, who was allegedly killed by men of the Anti-cultism unit of the State Police Command said he will work with the security agencies to ensure avoidable death of citizens do not happen. This man is too good. tell me why lagosians no go follow progressive apc and tinubu. even those that sold their votes for a litre of kerosene in one indigenious republic like that will come to say nonsense now. 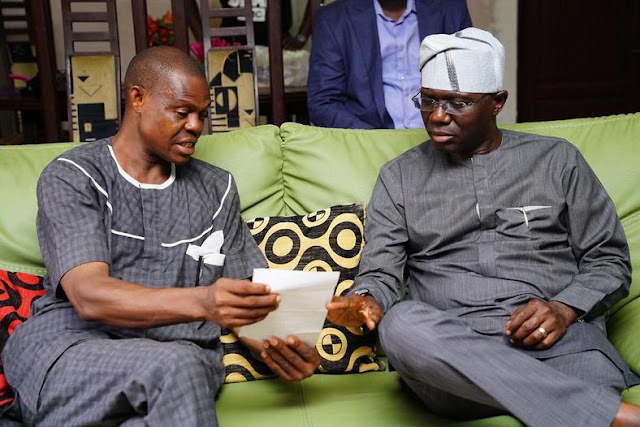 so because sanwo olu went to visit the parent of the late kolade makes him good. All these things are eye service and only time will tell if its not. All these our leaders everything is PR to them. By the time he is sworn in now you go see say story go change. 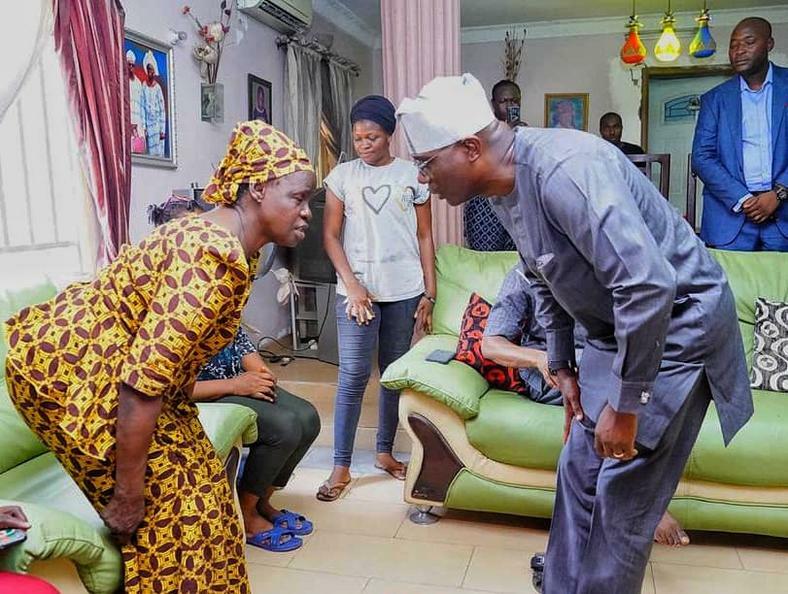 These are not what makes a good leader abi ambode no visit the Lagos Island incident scene and even their parent. So because he visited the mother of the late kolade makes him good. Its as if you do not know what PR is . You can say he is good until some thing tangible is done and justice is gotten for the family and also make sure laws are put in place to protect innocent citizen from this crook that call themselves policemen and stop these kind of incident reoccurring. Beside hope it will not end in visiting the woman and after that you wont hear anything about the case. hahahahahaha but this anon didn't mention any name. is it guilty conscience catching u. it could even be republic on Congo. So, this guy just died like that. Chei. May God comfort his family.